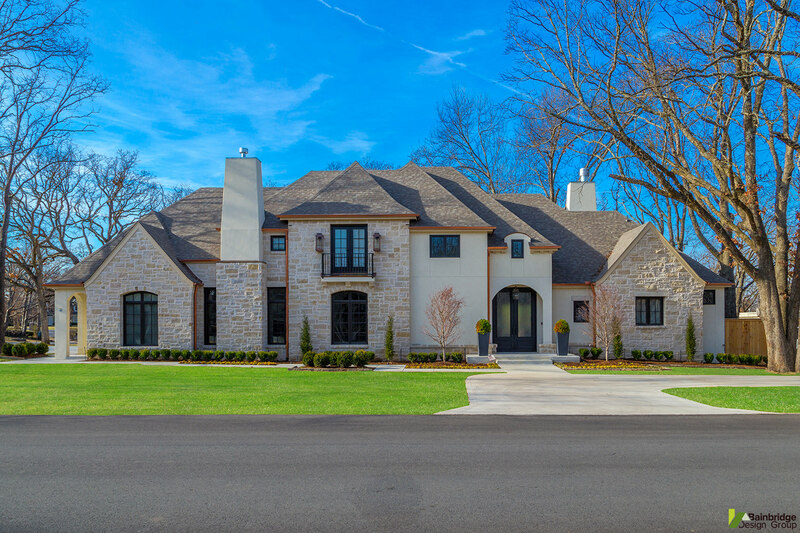 This French Country plan has an air of transitional style because it takes the staples of traditional French Country architecture and eschews ornamental detailing in favor of clean, minimalistic adornment. The stucco and stone balance each other nicely and combine to present a refined, yet simple facade. 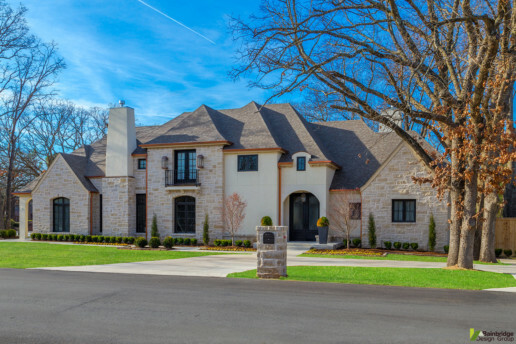 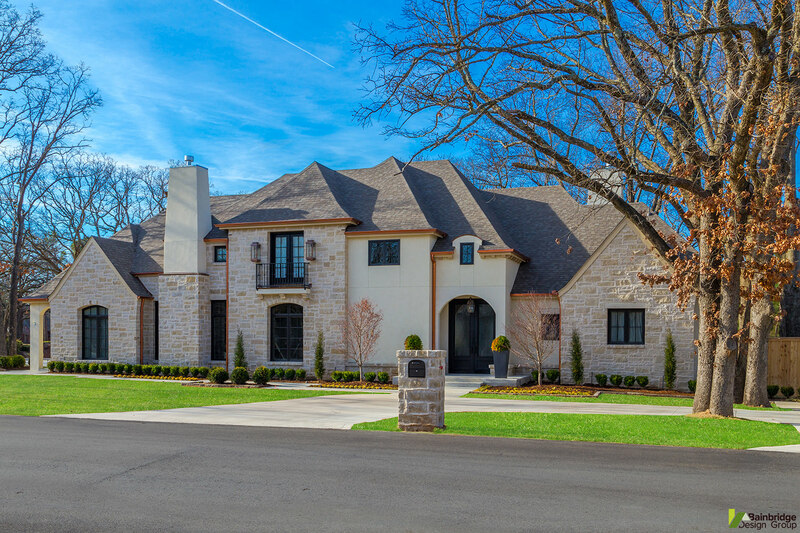 The absence of shutters and excessive stucco detailing contribute to the overall clean appearance while the tapered stucco chimneys add an element of interest.